While waiting what seems like forever for Veronica Roth’s Allegiant, the conclusion of the Divergent trilogy due out Oct. 22, I’ve been catching up on other YA offerings. There be magic aplenty. 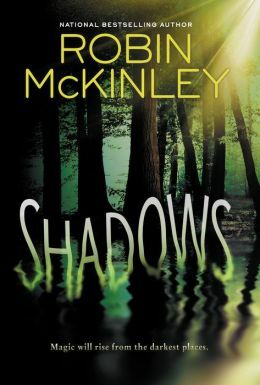 Robin McKinley, who is known for her retellings of classic fairy tales (Beauty, Spindle’s End) and her original fantasies (The Hero and the Crown, Sunshine) gives a nod to both in the inventive Shadows (Penguin, purchased e-book). “The story starts like some thing out of a fairy tale. I hated my stepfather.” That’s 17-year-old Maggie talking about Val, the short, hairy, badly dressed immigrant from Oldworld her mom married. Actually, Maggie can’t really explain her antipathy to Val, except that she’s unsettled by the weird shadows surrounding him. Magic may still be accepted where Val’s from, but he wasn’t supposed to bring it to Newworld, where science rules and the “magic gene” was erased. So why is it only Maggie sees the shadows? It takes her awhile to figure it out, and McKinley’s story is on a slow burn until “cohesion breaks” threaten the reality of Maggie’s world and family. Her algebra book develops a mind of its own, a good friend undergoes a startling transformation, her border collie refuses to stay home, and the shadows reach out to touch Maggie’s mind and body. As always, McKinley’s a star at world-building, but Maggie’s teen-speak of made-up words like “dreepy” grows tiresome. Still, I’d like a sequel. 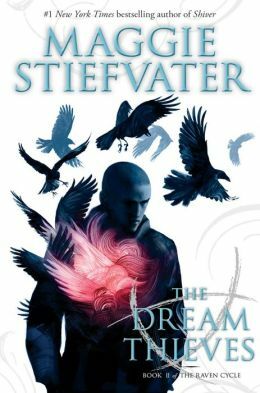 The Dream Thieves (Scholastic, digital galley) is the sequel to Maggie Stiefvater’s The Raven Boys, and offers even more paranormal thrills as a mythical quest takes a dark turn. In the first book (and you really should read it), small town girl Blue got to know four students from a nearby prep school — Gansey, Ronan, Adam and Noah. All are still looking for the sleeping Welsh king Owen Glendower, but now that the “ley” lines running through the Virginia area have been opened, their paths diverge. Dark and dangerous Ronan is learning more about his murdered father’s legacy and his ability to retrieve items from dreams. The friendship between privileged Gansey and proud Adam is strained to the breaking point, a mysterious “Gray Man” is tracking their movements, and Blue’s family of clairvoyants are keeping secrets. 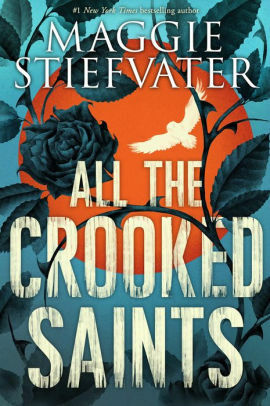 Stiefvater easily merges an ordinary world of pizza parlors, street races and summer fireworks with one where time is circular, a forest disappears, and terrifying night creatures descend from the skies. It all makes fabulous sense. Two more books are promised in the Raven cycle. You say you’ve had it with vampires? Then imagine how 17-year-old Tana feels when she passes out at a party and wakes up surrounded by bloody corpses. 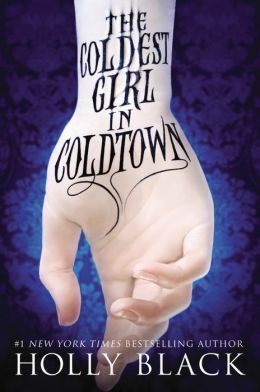 Someone has left a window open, which is just asking for trouble in Holly Black’s dark and daring The Coldest Girl in Coldtown (Little Brown, digital galley). When Tara discovers two more survivors — the glam vampire Gavriel and her ex-boyfriend Aiden, who has been bitten and infected — she decides to try and save them all by going to the nearest Coldtown, a walled city where the government has quarantined the hedonistic bloodsuckers and their deluded followers. But once you go to Coldtown, you can’t come back — at least that’s what Tara, who lost her own mother to vampirism, understands. But perhaps if she embraces her doom, she may yet escape it. Maybe. 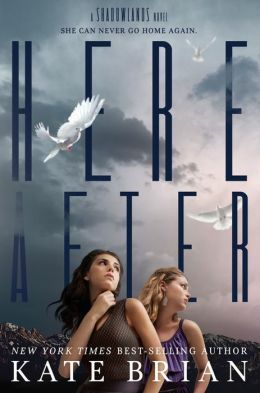 Teenage Rory has yet to accept her fate, much less welcome it, in Kate Brian’s Hereafter (Disney/Hyperion, digital galley), the second in the provocative Shadowlands series. In the first book, Rory and her family were placed in witness protection and relocated to Juniper Island to escape a serial killer. But the picturesque island, with its shifting population, rolling fogs and mysterious bridge, is really a way station for the dead, who will either be moving to the Light or to the Shadowlands. Except for Kate and a group of party-hearty teens. They’re the Lifers who must usher the dead on their designated paths, like it or not. But the weather vane indicates that something has changed in the eternal order. Exactly what remains up in the air as readers await a third book. Think of this one as a necessary way station. 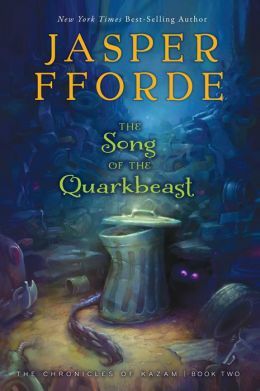 Let’s lighten up with Jasper Fforde’s The Song of the Quarkbeast (Houghton Mifflin Harcourt, purchased e-book), the second installment in the silly-but-clever Chronicles of Kazam. As we learned in the first book, The Last Dragonslayer, pragmatic foundling Jennifer Strange runs a mystical arts management company for workaday wizards in the Ununited Kingdom. The properly certified rewire houses, relocate trees and keep track of creatures like the metal-munching quarkbeast. But now the noxious king is proposing Kazam merge with rival firm iMagic by way of a duel, with the victor taking over the loser company. With the help of her assistant Tiger, Jennifer prepares her team of eccentrics for the challenge. Expect copious wordplay and full-frontal whimsy. 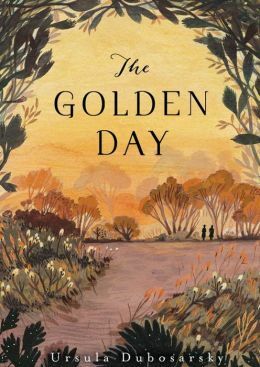 Ursula Dubosarsky’s dreamy The Golden Day (Candlewick Press, digital galley) is more mystery than fantasy, but magic tinges the writing and the plot. In 1967 Australia, Miss Renshaw takes her class of 11 11-year-old girls to a nearby park to write poems and ponder death. One day, the mysteriously poetic groundskeeper, Morgan, guides Miss Renshaw and the girls to a cave on the beach to look at Aboriginal paintings. The girls, shuffling in the darkness lit only by Morgan’s flashlight, can’t wait to leave. “It was Cynthia who couldn’t wait, wheezing, gasping for breath, who went first, and then the others after her. . .They stumbled along in a line, back the way they had come, crawling out the low tunnel, back to the cave’s mouth, back outside, back to the world they knew.” They wait outside in the sunshine, but Miss Renshaw and Morgan don’t come out. Ever. The girls are then haunted by their teacher’s disappearance in more ways than one. 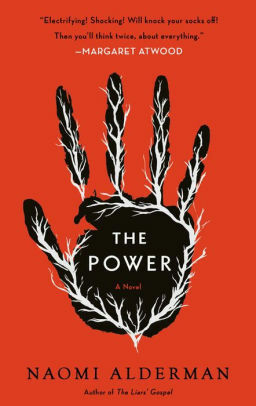 Dubosarsky’s atmospheric tale is haunted by echoes of the classic 1975 film Picnic at Hanging Rock. I liked it very much. Paranormal is the new normal, especially in teen fiction. Ask teens if they’ve read any good books lately, and nine times out of 10, they’ll name a fantasy. Make that 10 out of 10. 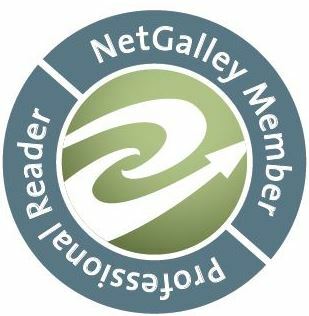 For this year’s recent Teen Read Week, 9,000 teens across the country voted at their local libraries for the 2011 Teens’ Top Ten, http://tinyurl.com/3hwnpy Steampunk, dystopia, apocalypse nigh. Vampires, zombies, aliens and angels. Many, many angels. Karou is the girl with blue hair, the girl raised by demons, the girl who falls in love with an angel. 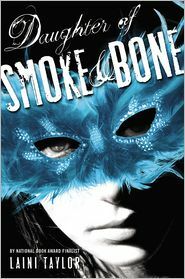 She is also the title character of Laini Taylor’s Daughter of Smoke and Bone, a scintillating mix of myth and magic, religion and romance. In the storybook setting of 21st-century Prague, Karou is an art student who occasionally puzzles her best friend with unexplained absences and detailed drawings of fantastic creatures. But how to explain her errands for the chimaera Brimstone, who looks like a monster and who trades in wishes and teeth? It’s what Karou has always known until enigmatic handprints start appearing on the portals to “Elsewhere,” and she is attacked in Marrakesh by a beautiful man with blazing eyes. He is the seraph Akiva, and he and Karou soon learn their destinies are joined by a 1,000-year-old war between angels and demons. Taylor nicely tempers the exotic and epic with teen angst and snark. Karou may discover she has secret powers, but she still is a teenager with a cell phone and boyfriend trouble. The book doesn’t end so much as stop, leaving readers longing for the next in the series. 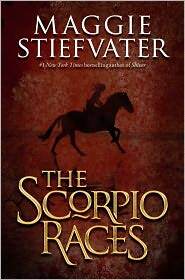 Maggie Stiefvater’s The Scorpio Races is a dark horse tale. On the island of Thisby, which is rural and Gaelic, riders risk their lives every fall riding fierce water horses on a strip of beach. The stallions are predatory carnivores who pluck people off of horses and boats, drowning them in the sea. At 19, Sean Kendrick is a Scorpio Race veteran and winner. This year he’s racing for the right to buy the red stallion Corr. Young Puck Connelly decides to race her land mare for the prize money she and her orphaned brothers desperately need. Both know they are just as likely to die as to win as they take turns narrating chapters. 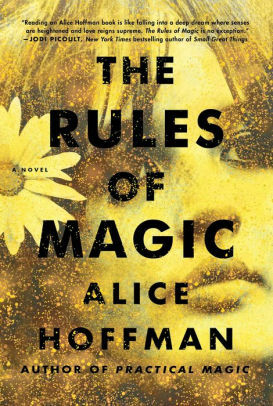 Stiefvater’s atmospheric, present-tense story fairly gallops along. The water horses rise realistically from the waves, and the race itself is harrowing. Readers win. Open Book: I bought the e-book versions of both Daughter of Smoke and Bone by Laini Taylor (Little, Brown) and The Scorpio Races by Maggie Stiefvater (Scholastic). I’m also about halfway through a digital galley of Lia Habel’s first novel Dearly, Departed (Random House via NetGalley), an inventive steampunk-zombie hybrid slowed by some clunky writing. 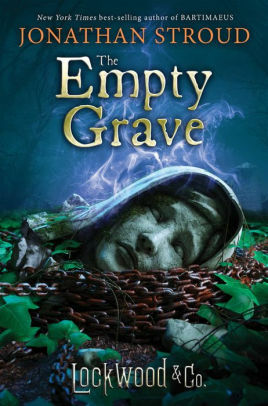 But I want to find out what happens to New Victorian teen Nora Dearly and the oddly attractive and very undead soldier Bram Griswold.